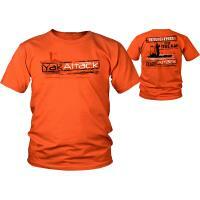 Support your favorite multi-species lure with this vintage Smithwick Go Rogue T-Shirt. 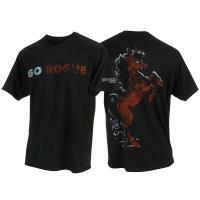 The front of the shirt sports a faded "Go Rogue" and a devil horse logo on the back, giving it a look that it's been worn for years. 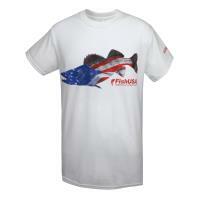 The FishUSA American Walleye T-Shirt features an awesome American flag-style walleye graphic with the FishUSA logo on the front. FishUSA.com is printed in red on the left sleeve. 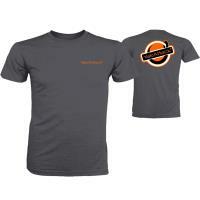 This is a comfortable Gildan Ultra Cotton shirt prefect for those hot summer days. 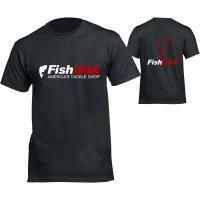 Wear this shirt, and show your pride for FishUSA and America! 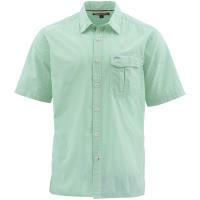 The Simms Transit Shirt features a classic plaid design, providing timeless style for anglers on the move. 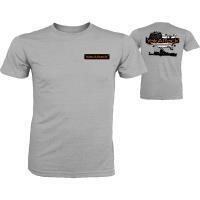 Constructed of 100% cotton, this soft and lightweight shirt offers comfort without wrinkling. This shirt is outfitted with one fly box-compatible, pleated chest pocket for your gear and an opening for your sunglasses. In addition, there is a chamois sewn in the inside hem so your glasses stay smudge-free. All anglers, professionals and amateurs alike, can agree on one thing - the Smithwick Rogue series features some the best fish-catching lures for multiple species. 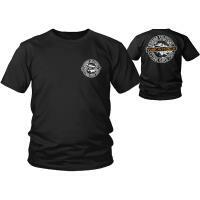 Next time you hit the water, make sure you're going rogue with the Smithwick Go Rogue T-Shirt. This black, casual tee is made with 100% cotton for supreme comfort and ultimate flexibility. The front of the shirt sports a faded "Go Rogue" and a devil horse logo on the back, giving it a look that it's been worn for years. 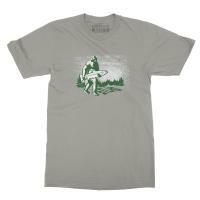 Support your favorite multi-species lure with this vintage Smithwick Go Rogue T-Shirt.